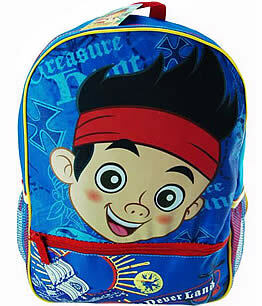 Full size material (canvas feel) backpack with sparkling Jake design on the front. Zipper closure. Adjustable straps. Zip close pocket on front. Open top mesh pocket on each side. Approximately: 11.25" wide x 15.5" tall x 4.5" deep.